Are you partial to the sound of the pipes? It’s time to shake out that sporran, because 25 January marks the birthday of Scottish poet Robbie Burns and is traditionally an evening where those so inclined spend the evening celebrating his life and works. There are plenty of places to do this in London, whether you’re a homesick Scot or just a keen reveller. So don your best tartan and get ready to pipe in the haggis. Dundee-born chef patron of Quo Vadis, Jeremy Lee will host a Burns Night supper upstairs at the restaurant, which will be open to non-members. Milroy’s of Soho have designed a Scotch whisky menu add-on to complement each of the four courses on the menu. Dishes include haggis with neeps and tatties matched with Arran 17 year-old,, and braised mutton, parslied potatoes and skirlie, matched with Glen Garioch. A four-course Burns menu will also be served downstairs. Quo Vadis, 26-29 Dean Street, W1D 3LL. The Burn’s Night dinner at the QV Club is priced at £65; the Milroy’s of Soho whisky add-on is £20. Dinner in the restaurant with paired whisky is £65. 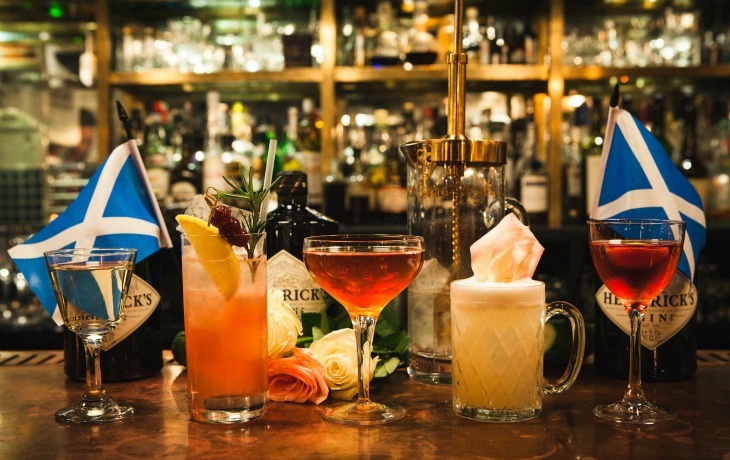 The Marksman is celebrating its very first Monday dinner service by hosting a Burns Night celebration. The evening will be hosted by 10 Greek Street’s Paisley Kennett and will include a menu of Scottish flavours matched with wines and whisky. We’d like to see a haggis variation on their famous beef and barley bun. Mark Hix has partnered with comedian Hardeep Singh Kohli to host a Burns night dinner with an Indian influence. ‘Snax’ will include Glenmorangie cured salmon, pani puri, and blackface haggis fritters followed by cullen skink and haggis with bashed neeps and red deer curry. Dessert will be floating islands with Yorkshire rhubarb. There will also be a 10-day whisky pop-up in the Library Bar at Brown’s, featuring over 40 whiskies. Brown’s Hotel, Albemarle Street, W1S 4BP. £95 pp with matching wines and whiskies. The cranachan toastie at Melt Room. A week of celebrations at Mac & Wild will see a different Scottish classic served each evening. Expect clapshot, ‘haggis in the hole’ and ‘haggis pops’. We think they might be riffing on a haggis theme. The Burns supper on 23 January will of course feature some more haggis, along with the traditional piping and reading of poems. Mac & Wild, 65 Great Titchfield Street, W1W 7PS. £35 pp, with a free drink for those wearing kilts. Cheese toastie café The Melt Room have put something sweet on their menu to celebrate the life of Burns. It’s based on the traditional Scottish dessert cranachan, which is usually made with oatmeal, whipped cream, whisky, honey and raspberries. 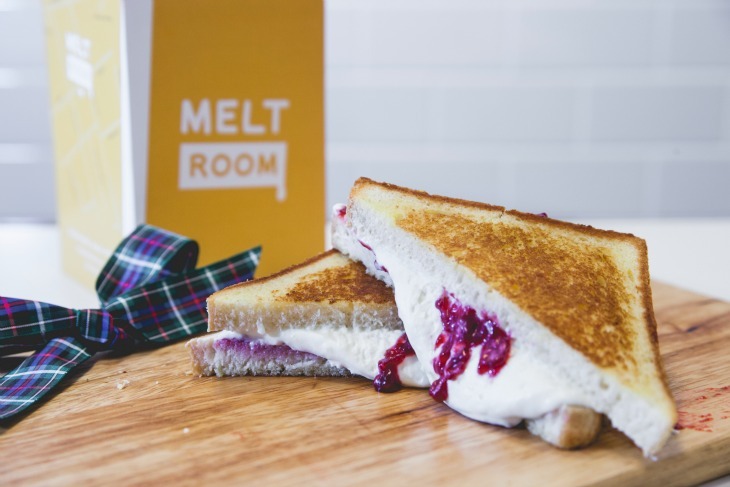 At Melt Room, they’ve decided to put the cream inside a sandwich with raspberry jam and whisky syrup. If we think of this as a riff on Poor Knights of Windsor, then it doesn't seem so bad. Hawksmoor Spitalfields will host the ‘Voyage of the Black Haggis’ which they describe as, “a celebration of the unusual, allowing curiously minded individuals to gain a true appreciation for the peculiar — but oh so important — ritual of Burns’ address to the haggis and its resemblance to the rituals behind the gin martini.” The link may be tenuous, but if there’s a martini involved then we’re willing to try it. A variety of other Hendrick’s cocktails will also be served but make sure to get there early, as places are limited. Hawksmoor Spitalfields Bar, 157B Commercial St, E1 6BJ. Entry is free and the house punch will be complimentary on arrival, as well as the Hendrick’s martinis before the address to the Haggis — all subject to availability of course. Hendrick’s cocktails are available from the bar. Owen Kenworthy’s will be giving his modern European set-menu a Scottish twist with starters such as venison and haggis raviolo, game consommé and crispy kale. Mains include roast sea bream, Shetland mussel and ale broth. Puddings will be marmalade sponge and Islay whisky custard or shortbread, salted caramel and raisin ice cream. Blueprint Café, Design Museum, SE1 2YD. £35 for three courses. Fittingly for a restaurant named after the dining livery of the Flying Scotsman, Plum and Spilt Milk is hosting a three-course Burns Supper including all the traditional dishes, such as the ceremonial haggis with neeps and tatties accompanied by a piper and a drink with each course. Kilts encouraged. Plum and Spilt Milk, Great Northern Hotel, Pancras Road, N1C 4TB. The Burns menu is £60 pp.